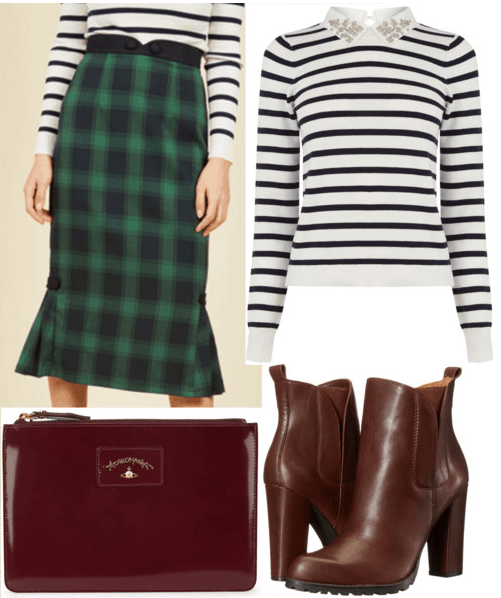 After spending the weekend in the beautiful French region of Dordogne, I just had to do another post on French Countryside fashion inspiration. Across Dordogne there are many small towns and villages, each unique and rich with history. Oftentimes, there will be a large castle surrounded by smaller homes – this makes up the village. The medieval architecture remains constant throughout the region. 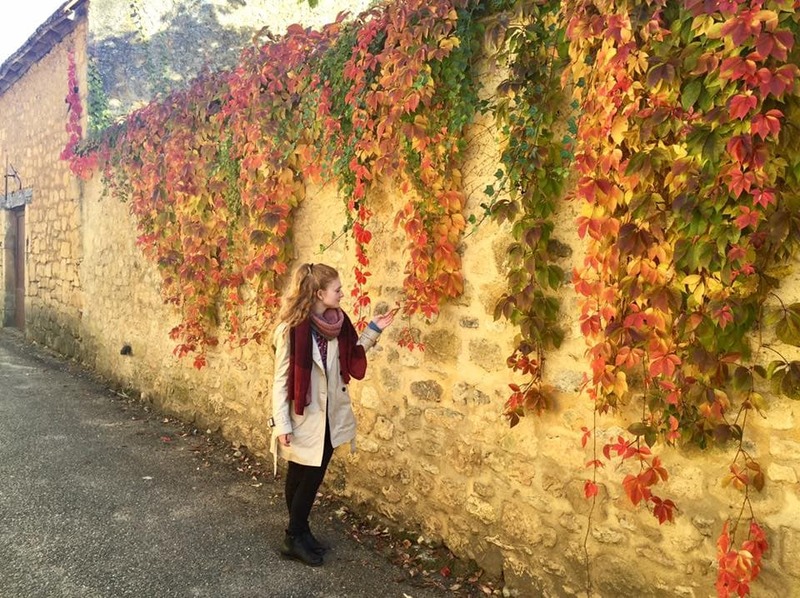 The warm, cream-colored stones and red roofs characteristic of Dordogne architecture makes for fabulous fall inspiration. Using this color scheme, you can pair a cream colored sweater and a deep red skirt for the perfect fall look (and don’t forget the beret)! 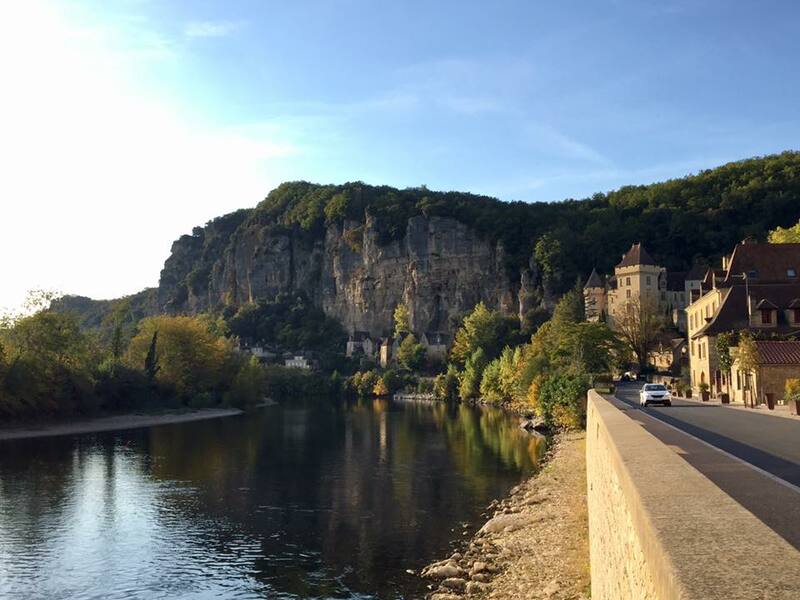 “Le fleuve,” or “the river” that runs through the region is called The Dordogne. The dark blue of the river is complemented by the surrounding bright greens of the landscape. Again, using this color scheme, you can create a fantastic fall look. This Modcloth skirt mixes the two colors just perfectly. Just add an embellished striped sweater and some brown booties to complete the look. When putting a vallée-inspired look together, combine the vibrant and neutral earth tones of the landscape. Pair some army green cargo pants with creams and reddish browns to capture the essence of the valley. And what fall look would be complete without a plaid scarf? 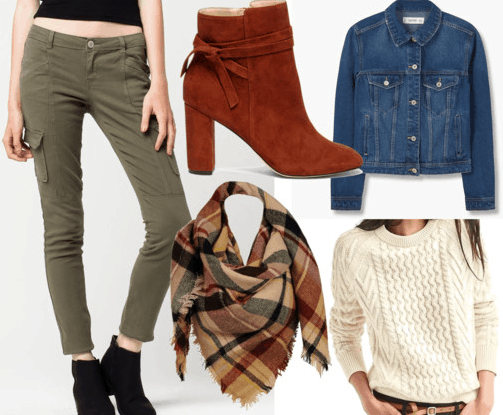 What have you been wearing this fall? Which one of these looks is your favorite? 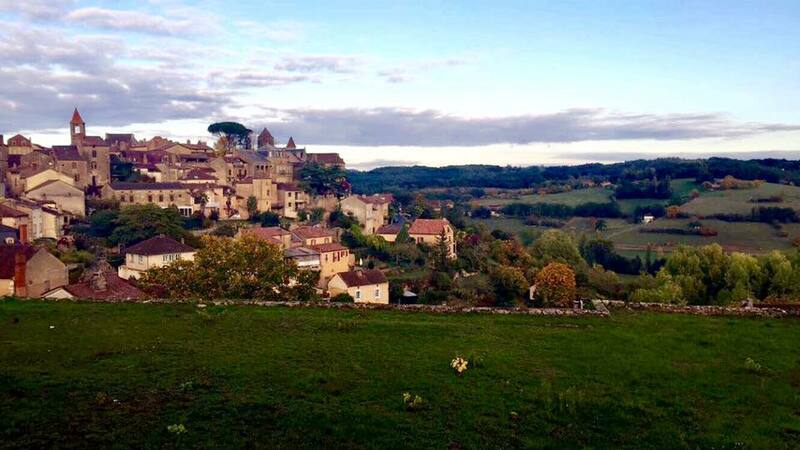 Have you been to the French countryside? Let’s discuss in the comments!